Developed by indieszero. Published by Nintendo. Released December 18 2013. Available on Wii U eShop. Nintendo is the undisputed king of nostalgia. From Super Smash Bros. to the more recent A Link Between Worlds, the company knows how to keep mining its history for the delight of its many fans. Often, such attempts are successful - it's hard not to be delighted by an entity with such a rich stable of characters and worlds. Sometimes, however, it relies too heavily on the past, trying to pass off a weasel as a pedigree dog, while hoping that our collective love of the past will allow it to scrape by. NES Remix is one of these more cynical efforts. A collection of trite minigames, cobbled together from recycled scraps of old software, this compilation of half-hearted distractions fails at everything it attempts. It's too fractured to be a WarioWare-esque microgame experience, its games are too vapid to be reminiscent of true NES classics, and it's so utterly bereft of a point, it's worth nobody's time and money. Essentially a series of abrupt minigames separated by theme, NES Remix offers several columns of challenges under various classic game headers, such as Super Mario Bros., Donkey Kong, and ExciteBike. Each challenge usually consists of a number of quickfire tasks which must be completed either within a time limit or without failing three times overall. 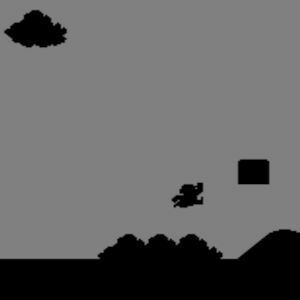 For example, the first challenge gives you an invincible Mario and charges you with the job of running into fifteen enemies. Later on, you may need to jump over ten barrels in Donkey Kong. There are also "remixed" challenges, which see you tackling a certain stage of an NES game with extra conditions and altered color schemes. Each stage you complete awards you with Bits, which unlock Stamps at various levels. Stamps are basically little pictures that you can put in your Miiverse posts, and look like monochrome sprites from NES games. Hooray. You also earn up to three stars per stage, which in turn open more Remix Stages. As you progress, you'll unlock other game titles, such as The Legend of Zelda or Wrecking Crew. Accessing new stages within a given title is simply a case of playing the previous stage once - you don't have to beat it, but you'll need the stars in order to get to any of the stuff that has even a shred of substance to it. Some of these challenges are ludicrous in their insipidness. One, for example, tells you to "get to the top" of a Donkey Kong level, and places you right by the topmost ladder. Another might tell you to kill a certain enemy, or collect an item that is right next to you. There are tougher challenges, of course, but many of them are downright insulting to one's intelligence. The ones that are more difficult, however, aren't exactly fun. 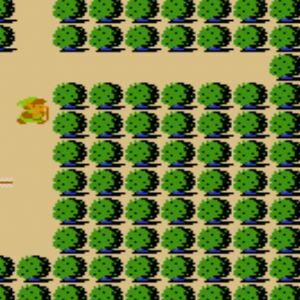 Killing ten enemies in The Legend of Zelda is all well and good, but as I'm sat there, stabbing at Moblins for no good reason whatsoever, I'm stuck wondering why I wouldn't just go and play The Goddamn Legend of Friggin' Zelda instead of this banal waste of seconds. That's the main problem with NES Remix. At best, it's a collection of terrible versions of the original games. I can "Defeat Bowser" in the regular Super Mario Bros. and get the rest of the game to go with it. I don't need Remix to do that. As for the more involved Remix Stages, they come off like tepid versions of the superior fan mods found in abundance online. There's nothing here that comes close to touching the likes of Super Mario Crossover, a far better, more fully realized concept, that has been available free online for years. There's some slight satisfaction in tackling a few of the truly tricky stages. Having to dash through a tough platforming section under a strict time limit has its appeal, and a few of the Zelda games approach a level of near enjoyment. There's certainly potential in the idea, a nucleus of an intriguing concept. It just suffers from a world full of better options, and a notably lethargic execution. If it had been more like WarioWare, perhaps there would have been hope for this idea. However, where WarioWare is a rapid-paced punch in the face, brimming with energy and fluidity, Remix is slow, stunted, and lacking in passion. Each challenge consists of only a few brief tasks, and then you're pushed back out into the lifeless main menu, where you'll sit and watch some more brief tasks unlock. Nothing is substantial enough to draw you in, consistently spitting you out of the game before the engine's so much as revved. What's truly amusing is that there's actually quite a lot of "content" on offer, and there's enough here to last hours - it's just all segregated and broken apart, making for a package far less than the sum of its parts. NES Remix is an example of what happens when a company gets high off its own reputation. Nintendo clearly knows how much love there is for its classics, but this is a callous and exploitative acknowledgement of that love. Serving up portion after portion of insubstantial pointlessness, Remix does nothing truly new or interesting with its ideas, and certainly nothing that amateurs haven't done far better already. When you could play those amateur efforts, or the original NES classics upon which they are based, one has to ask - who in their right mind will ever, ever need a game that is inferior to either? Bottom Line: It plays out like cold-hearted cash grab, seemingly spat out just so the Wii U has something on its eShop this holiday season. A stuttering, stunted selection of nothingness. Recommendation: It's $14.99. There's a Steam sale going on right now.